With my camera as an excuse I can take part of people's stories and life. I love to experiment with different cameras and techniques. I believe in challenging myself by trying new expressions to constantly evolve. My customers are mostly newspapers, magazines and advertecing agencies. 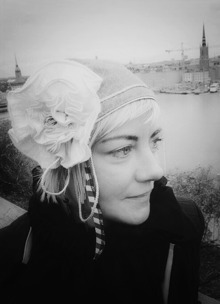 In addition to freelancing I work with long-term projects in Sweden and abroad. Alongside this I travel around the world together with my journalist colleague Maria Hagström where we feature articles on assignment for various magazines. I also hold lectures and workshops on iPhonephotography. I am always open for new collaborations, so please feel free to contact me! 2005 Scanpix Photo Prize nominee for "The Invisible"